Eskimo girl from Cookie Cutter Christmas from Stampin' Up! 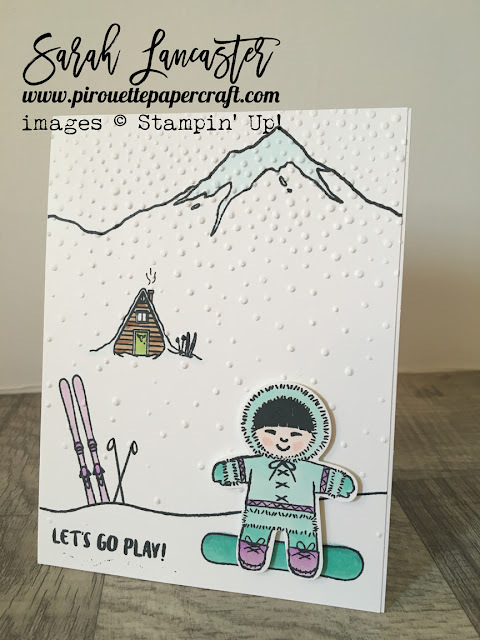 Today I am focusing on the little eskimo girl from the Cookie Cutter Christmas stamp set and have some fab ideas on how to use her on your winter and holiday cards. On the card above she is throwing snowballs, which I think are supposed to be for Santa's hat ! I made her an igloo using the Brick Wall textured impressions embossing folder (see supply list below) and some Shimmery White card stock. I also used the Softly Falling TIEF for the snowy background. 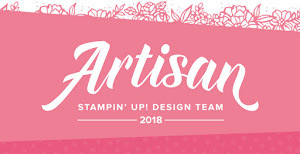 I added the beautiful Blushing Bride ribbon to finish off the card. For my next creation I have used the Mountain Adventure stamp set to create a fun little scene for my eskimo girl. Doesn't she look like she is ready for lots of fun in the snow ! !